Are you looking for hot water systems for your home but are unsure of what type of system to get? We are here to help you. We know how confusing it can be for individuals who do not have any background with regards to the different water heaters. We know water heaters like the back of our hands and we can make choosing one easy for you. Number of people in the household -Different hot water systems have different pros and cons. In a household where there are a lot of people who need access to hot water, a gas-powered storage tank water heater is the best bet. This is an option only if gas is widely available in the area you are residing in. If not or if there are fewer people in your household, other options would be getting electric hot water system or solar-powered ones. Distance of tap from the water heater – When choosing the hot water system that is right for you, you should take into account how far the water “travels” from the water heating system to the tap. You would not want to waste hot water “sitting” on the pipes because it takes time for it to travel to the tap. Space – Different water heating systems have different space requirements. When you are inclined to choose solar-powered water heaters, you have to take into account your roof space. It is important to have enough roof space that has direct sunlight for the most part of the day. While gas storage tanks need ample space for exhaust and a place where excess water goes to. If space is an issue, you may need to consider tankless water heating systems. Cost – This is one of the major factors to consider when getting a hot water system installed in your house. There are systems that would cost a lot upfront but have lower operating costs. There are also systems that cost little to install but have relatively higher operating cost. After we have discussed those factors stated above, we can then give you options or suggest the hot water system that is best suited with your needs. We will never suggest a system for you just so we can make a sale or to make a bigger profit. One of our top considerations for everyone looking for water heater systems is energy efficiency because we know that high energy efficiency means you would be able to save money. Choosing us to install your water heater for your home means that you would only have high quality systems that are installed the proper way. We see to it that we follow regulations and protocols to make sure that the work is top-notch and guaranteed safe for everyone in the household. And in order to that, we make sure that we have people with the right experience and licence for the job. Here at Quality Plumbing and Gas Ltd, we not only install new hot water heating systems but also maintain it. That means we service existing water heaters even those systems that were not originally installed by us. Thus, if there is a need to repair or replace your current water heater, we would be more than happy to be of service to you. We service and repair different types of water heating systems including neo powered, solar, electrical and gas powered heating systems. 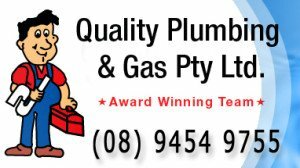 Choose Quality Plumbing and Gas Ltd for safe and energy efficient water heaters. Call us now so we can discuss what system is best suited for you and your family. You can also call us if you have questions or inquiries or if you need to have your water heating systems to be repaired. 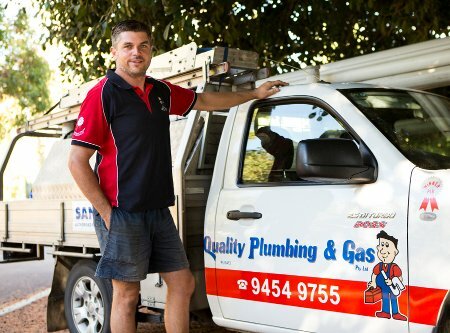 We also have different branches in Perth, Kalamunda, and Success so you can drop by anytime to a branch that is nearest you.